The adjective I chose creative. I picked that word because I believe it describes me very well. I am a person who does things her own way and thinks creatively and outside the box. 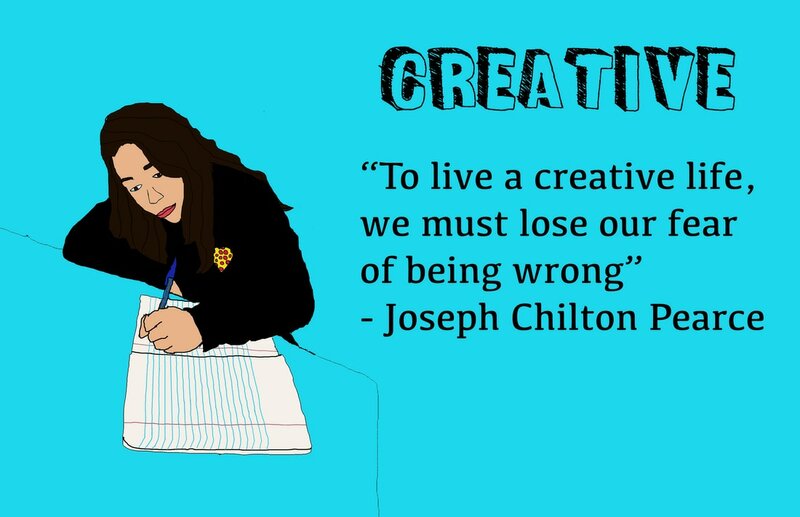 The quote I chose represents being creative and fearless of being judged or being wrong. To me this is a special quote because we all have one life to live and we should be able to express ourselves without the fear of being wrong. The pose I picked shows me writing in a notebook. I decided to do this pose because I have a journal that I right most of my ideas in. Writing is a way of creatively expressing yourself. To me, the pose represents creativity very well. I learned many skills when doing this photoshop project. Some things I learned were how to add color, how to trace, how to be patient, and many other important skills. At first, I struggled with making my picture come to life at first. After I added color and details the whole thing started coming together. I also learned that it is easier to trace when you are zoomed in. To make the straight lines I used the shift button on the keyboard and it made my tracing easier. My poster is about bullying. When people are bullied they feel alone and attacked. This poster represents that dark feeling. In the poster the girl is surrounded by the words she is being called. 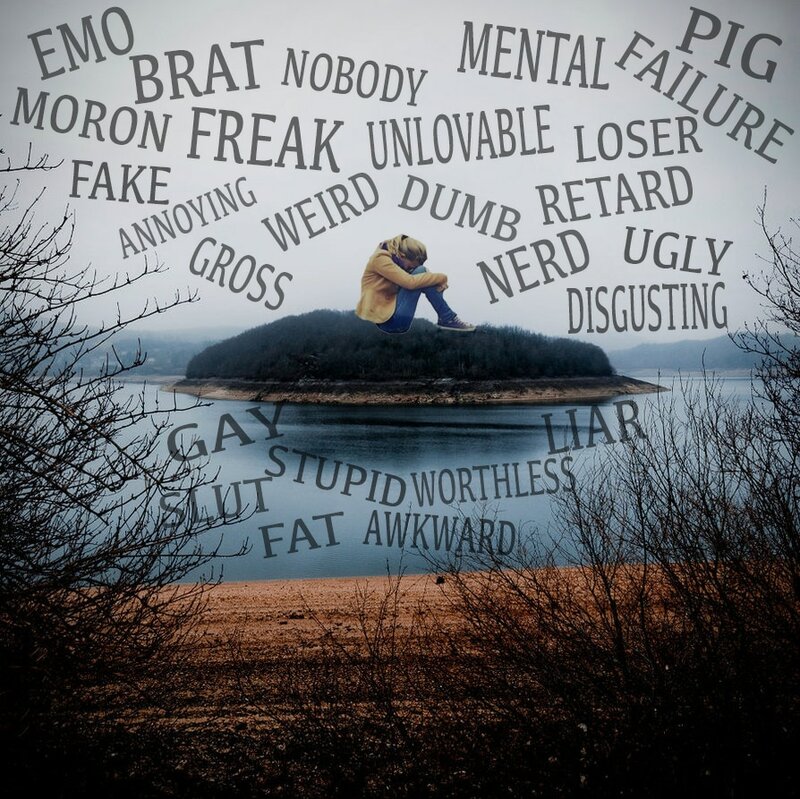 Thousands of people are bullied and feel horrible about themselves because of it. I think more people need to be aware of how serious this topic is and how it needs to stop. 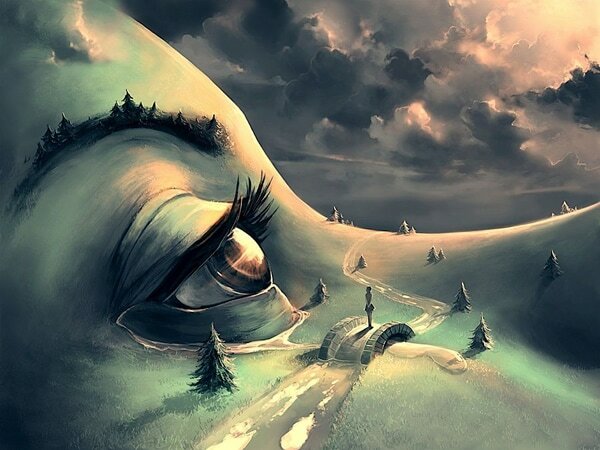 This is an example of surrealism that I really like. I am trying to make my own version of this piece of art. My favorite parts of media arts were being allowed to be completely independent, using your creativity or imagination, having a choice of what project I wanted to do, and the projects we did were very insteresting. I gained many skills while in class. I had never used photoshop before and now I am familiar with most of the tools and can do basic things on photoshop. I also know how to use Carvey now and I can do it without a problem. I would change a few things to make this class better. First, I would give students the choice to do both a 3D Print and a Carving. I would also give more projects to the students who are finished instead of them just sitting around and doing nothing.